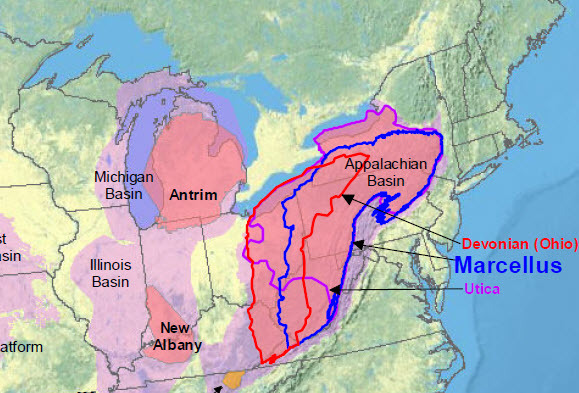 Hydrofracking: A Legal Issues Guide: What is Fracking? When researching this topic area, be sure to construct search strings that include the variations. "Hydraulic fracturing is a well stimulation process used to maximize the extraction of underground resources; including oil, natural gas, geothermal energy, and even water. 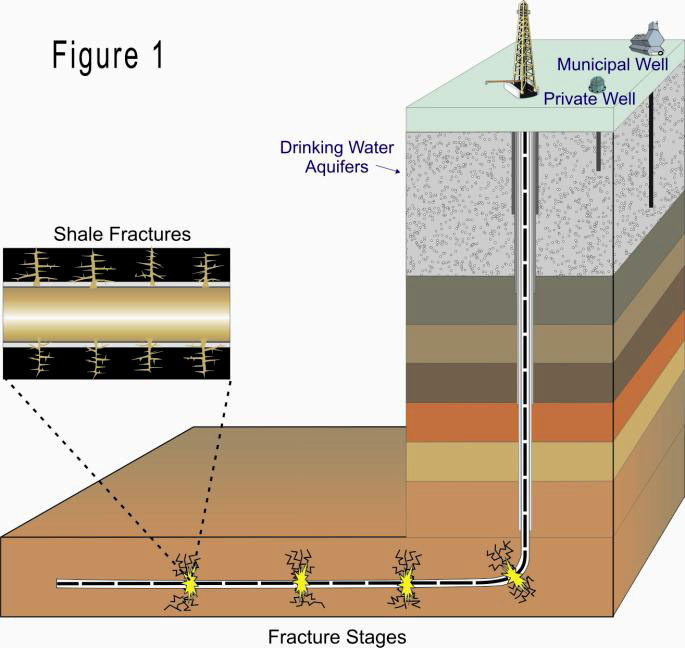 The oil and gas industry uses hydraulic fracturing to enhance subsurface fracture systems to allow oil or natural gas to move more freely from the rock pores to production wells that bring the oil or gas to the surface." 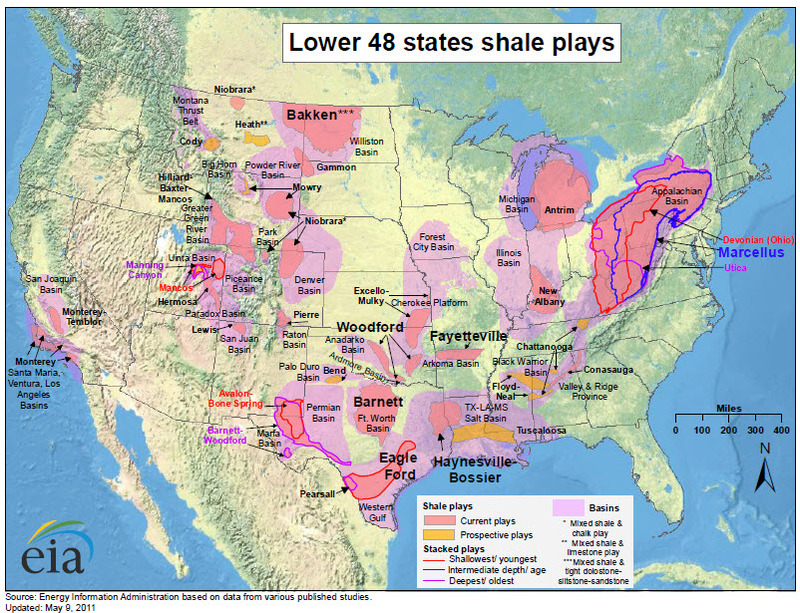 *Image from the EPA's Hydraulic Fracturing Fact Sheet. "The process of hydraulic fracturing begins with building the necessary site infrastructure including well construction. Production wells may be drilled in the vertical direction only or paired with horizontal or directional sections. Vertical well sections may be drilled hundreds to thousands of feet below the land surface and lateral sections may extend 1000 to 6000 feet away from the well. Fluids, commonly made up of water and chemical additives, are pumped into a geologic formation at high pressure during hydraulic fracturing. When the pressure exceeds the rock strength, the fluids open or enlarge fractures that can extend several hundred feet away from the well. After the fractures are created, a propping agent is pumped into the fractures to keep them from closing when the pumping pressure is released. After fracturing is completed, the internal pressure of the geologic formation cause the injected fracturing fluids to rise to the surface where it may be stored in tanks or pits prior to disposal or recycling. Recovered fracturing fluids are referred to as flowback. Disposal options for flowback include discharge into surface water or underground injection."